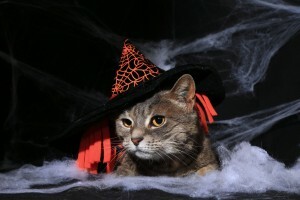 FEATURE: Cat-o-ween cats come out to play! Jeepers creepers cats are keepers! Halloween. All Hallows Eve, All Saints Eve. No matter what you call it, Halloween, or Cat-o-ween as we like to call it, is back for another year – and we are getting into the spirit. 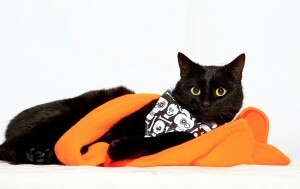 Sadly, Halloween is a time of year where some of the common misconceptions about cats come to light – especially around our black feline friends. Cats are casting a spell at The Lost Dogs’ Home and this week we want to debunk the myths, superstitions and misconceptions and show you why cats make wonderful pets. So come down to our North Melbourne shelter this week and meet the cat-tacular felines currently looking for their forever homes. Neville Longbottom is an intelligent, shy and loyal cat who is looking for a quite home where he can spend his days in peace and happiness. With some TLC and a bit of time to settle in to his new home, Neville is an affectionate and interactive cat who enjoys pats, cuddles and being pampered – which is a good thing too, as his new owner will need to put time aside to groom his thick coat on a regular basis. Neville Longbottom is a lovely cat with a sweet nature, and in the right home environment he will blossom into a wonderful companion. The saying goes that the way to a man’s heart is through is stomach – and inquisitive Dexter is no exception. This adventurous boy loves his food! When he is not in the middle of a fine dining experience Dexter loves to investigate what is going on around him. While he loves an extended smooch session this gentle gentleman won’t demand your attention, often happy amusing himself. Dexter loves human company, but he isn’t the biggest fan of other cats. 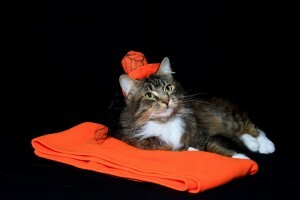 So if you are looking for a cat to be a companion rather than a lap cat, then Dexter might be the one for you! With good looks and a wonderful personality to match – Bella is a lady who knows what she wants. A sweet, friendly girl, Bella is happy to come over to you to make friends and enjoy long, luxurious patting sessions. She is a real lap cat who will enjoy nothing more than snuggling into the arms of her new owners at the end of the day. With her sweet nature and loving personality, Bella has lots to offer and will be a great addition to any family who is looking for the perfect addition to their family.